The Wagner Society of Scotland was founded in 1984 under Derek Watson’s chairmanship. After Derek’s retiral in 2013, a new Committee was elected with Dale Bilsland as Chair, serving until 2017 when Derek Williams was elected. 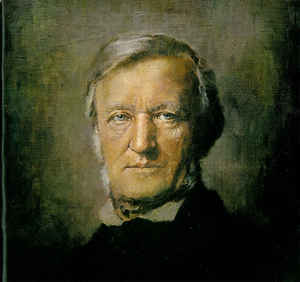 Our aim is to promote the knowledge and appreciation of the life & works of Richard Wagner. We hold meetings monthly from September to June/July and a residential study course in the summer. Meetings are generally held on Sundays at 7.30pm at the Edinburgh Society of Musicians, 3 Belford Road, Edinburgh EH4 3BL. See events page for current programme. The Wagner Society of Scotland notes with great sadness the recent passing of our founder, Derek Watson, peacefully at the Royal Infirmary of Edinburgh, on September 17, 2018 after a brief illness, aged 69 years. Derek’s death was reported in an obituary article in the The National and elsewhere. According to Derek’s wishes, his funeral was private. Derek remained an esteemed friend of our society, a notable Wagner academic whose lectures at Gartmore and elsewhere over the years have contributed enormously to our erudition on Richard Wagner and his works. His publications on the Wagner opus and others will likewise live on after him on library shelves and elsewhere. The society also extends our sincerest condolences to Derek’s partner, Will Scott.